I have never met Steve Jobs. But his influence literally effects every day of my life in both profound and very practical ways. 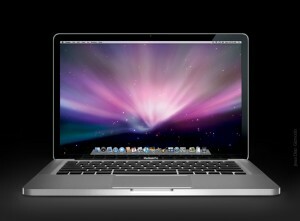 Mr. Jobs never stepped into my house, but his legacy will be living here influencing my family for many years to come. Almost every single picture and video of my two young children was either taken on or is stored on an Apple device. These are the most treasured recorded memories of our family and they owe their existence to a man I never met. The family-connecting moments of grandma reading my 3-year-old a story before bed, all while sitting in her house hundreds of miles away, on the video FaceTime of my phone have allowed my children to discover their grandparents. This too was possible because of a stranger. And let’s not forget about the times I’ve been away because of work and able to see my children before bed because of the same invention. Or the educational apps stored on my iPad that have entertained my children during moments we needed to extend their patience. Or the AppleTV device that streams Disney’s “Tangled” into my TV so my daughter can enjoy a movie and popcorn night with us in our sleeping bags on the living room floor. Or the macbook that my wife uses to scrapbook the pictures and stories of our family life into a blog online that friends and family far away can view to follow along with our lives. And what of all the hours spent reading news on one of his devices, emailing and communicating through his iPhone, finding my way to a destination by his map app, locating a restaurant through another app, following a live football game during a long meeting, and the countless work tools that I depend on each day. This and so much more. Because of a man that I’ve never met. I’ve been a Steve Jobs fan, from afar, and an Apple fanboy for many years now. I’ve stood in long lines for iPhones and iPads and all sorts of things. Each keynote address was as exciting as Christmas morning for a 9-year-old. But, for me, it was never about having the coolest and newest device. My love of Steve’s Apple products isn’t about keeping up with the Jones’ or some sort of status symbol. 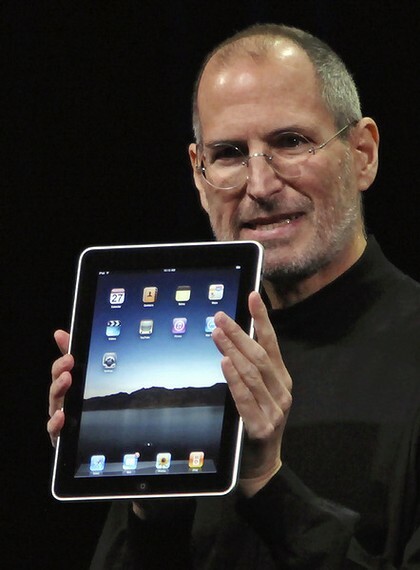 I’ve loved Apple because of Steve’s passion to blur the lines between art and technology. He didn’t just make a phone; he made an iPhone. He didn’t just make a computer; he made a macbook. And anyone who’s used his products understands the difference. Every product released under his guidance was like watching a new painting being completed by da Vinci or van Gogh. Each as striking as a new literary masterpiece by Shakespeare or Mark Twain. On par with the greatest sculptures, architecture, poetry, and music of all time. Jobs didn’t just make items that were functional. They were beautiful. Of course, like any good artist, he didn’t really want people changing his creation. He was famous for secrecy and closed systems that people couldn’t fundamentally customize. What he created he was passionate about and wanted it to stand as he had made it. He was at heart an artist, who also happened to know computers and like technology. Touch screens, computer chips, mobile antennas and operating systems were his tools; the paint brushes, violins, and writer’s pen of his craft. His tension and pursuit of both as the same thing is what is most inspiring to me. And it strikes me that we could use a few Steve Jobs’ in our churches today. A person here or there that advances God’s kingdom with creativity, passion and courage. Someone who challenges the status quo and with courage and braves a new path forward, despite previous failure and criticism. Someone who refuses to see salvation as a cold transaction, but as a creative life experience. Someone who doesn’t see building churches as a business model but as Divine art. Someone not as concerned with “the bottom line” (number of people in the pews) or “financial margin” (how many new buildings we can put up) but, as Steve put it, to live with the purpose of putting “a ding in the universe”. Someone who finds the beauty in simplicity and engages in life as a labor of love. I don’t know what Steve Jobs thought about God, but I know what God thought about him. He loved him. And for that much, so did I. 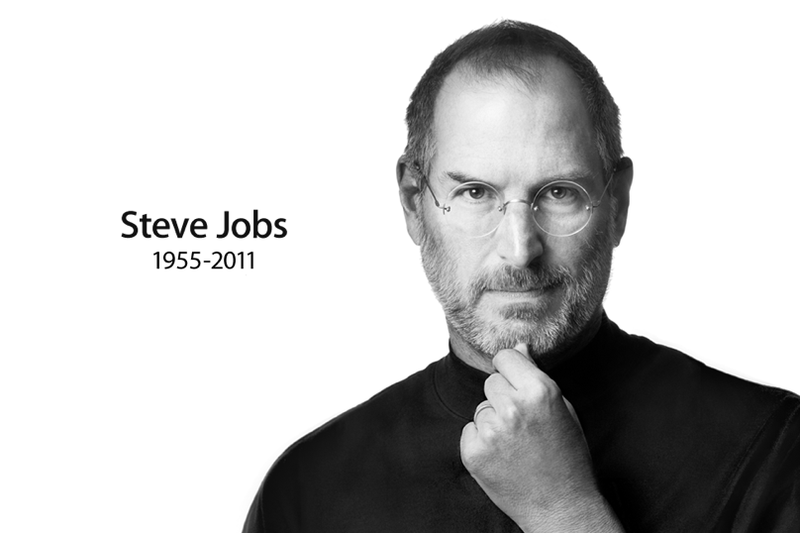 Thank you, Steve, for all your art over the years. I’m so glad to have been a witness to the artist God created in you. May we all be true to the creative genius He has placed in each of us as well.
. . . made on a mac . . . Remember playing the “telephone game” when you were little? You know, someone comes up with a statement and whispers it in the ear of the person next to them, who then repeats what they heard to the next person down the line, and so on and so on. And if you remember playing this game, then you remember how funny it was when the last person to get the message finally tells everyone else what strange sentence they heard at the end of the line. Most of the time, the statement began as something like, “The baker made an apple pie” and ended up as “Your face makes me wanna cry.” They rhyme, but they aren’t really the same thing. And even as a 7-year-old, I learned something simple. It’s best to get information right from the source, because over time and even through good intentions (except for that one kid in my class who was always trying to purposely screw up the telephone message), the information evolves into something possibly different than what was intended. We are involved right now in a discussion about violence and whether or not Christians should ever engage in it, even to protect their own life. And I know that many Christians today have some strong opinions on this matter, but I would like to caution us to rethink our stance in light of the telephone game. You see, I come from a church tradition that while honoring and learning from the history of church through the centuries, looks to the early church and The SOURCE (Jesus) as its primary ideal and guide. As we approach this topic, however, we may have done a rather poor job of maintaining this approach. I would like to suggest that many of the currently popular rationalizations of a “just war” or engagement in any sort of violence is due in large part to a long running game of church telephone, in which we’ve diverted a bit from the original SOURCE. So far are we from the source, in fact, that we consider The SOURCE to be too radical and our modern, westernized ways to be more progressive and advanced. Surely we must use violence sometimes? Our cause is just! How can we achieve the greatest peace for the most people if not by using violence to defeat the foes? The message still sounds understandable and we can rationalize it, but maybe it isn’t at all what The SOURCE intended or what those who heard the message first understood. Somewhere along the way, Jesus’ message of a different type of kingdom that did not rely on the power methods of this world has evolved all the way into our current and prevalent situation of syncretism between church and state (or national pride). Today, we will look at how the first 300 years of people in the telephone line behind him understood His message. And although 300 years sounds like a long time, it is but a brief beginning in a movement that has stretch into its 3rd millennium. Here is how violence was understood for the first followers of this Christ. The Early Church position ruled out violence as an option, even in self-defense. The evidence for this is overwhelming and includes the story of Stephen found in Acts 7:59-60. In the story Stephen is stoned to death for his faith, but even at the moment before death, he forgives his assailants for their crime. The crowd stoned Paul and dragged him outside the city, thinking he was dead. But after the disciples had gathered around him, he got up and went back into the city. Then they returned to Lystra, Iconium and Antioch, strengthening the disciples and encouraging them to remain true to the faith. “We must go through many hardships to enter the kingdom of God,” they said. It seems to me that God has put us on display at the end of the procession, like those condemned to die in the arena. We have been made a spectacle to the whole universe. To this very hour we go hungry and thirsty, we are in rags, we are brutally treated, we are homeless. Yet when we are cursed, we bless; when we are persecuted, we endure it; when we are slandered, we answer kindly. Strong statements, huh? Apparently the first Christians were pretty clear on what they heard from the life and words of Jesus regarding this topic. Consider that for three entire centuries after Jesus’ death and resurrection, almost completely universally, Christians believed that even self-defense violence was inappropriate for followers of Christ. Most notably, the Roman Emporer, Constantine. Christian sources record that Constantine experienced a dramatic event in 312 at the Battle of Milvian Bridge, after which Constantine would claim the emperorship in the West. According to these sources, Constantine looked up to the sun before the battle and saw a cross of light above it, and with it the Greek words “Εν Τουτω Νικα” (“by this, conquer!”), Constantine commanded his troops to adorn their shields with a Christian symbol (the Chi-Ro), and thereafter they were victorious. From this moment on, Christianity becomes the dominant religion of the Roman empire. And whatever his motives (genuine spiritual conversion or political genius), Constantine changes the landscape of Christianity. It is no longer a persecuted minority, but a powerful, state-supported, military-leading civic religion. 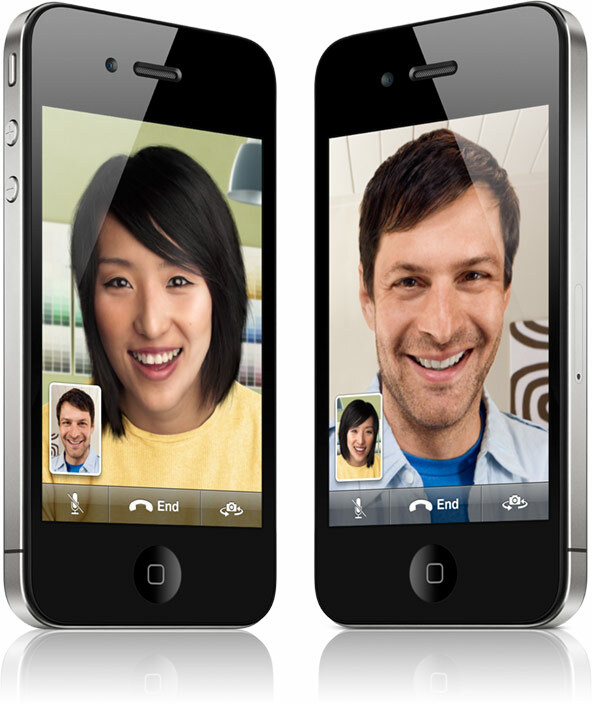 You can nearly draw a line in history with this event as the place the telephone message changed. Violence was absent from the lives of the earliest followers of Christ and only by the military subversion of Christianity by the emperor, Constantine, did violence (for national purposes or any other) enter into Christianity. The church following this event was culturally conditioned to accept the merger of empire and “Christianity” and found ways to rationalize this “new power” that soon became the “norm” at the expense of its previously radical stance on violence. And it became a marked departure from what Christ and the original followers had taught and modeled. Now, certainly God is mightier than a game of telephone and His message has been preserved in His church. But, I suggest that rather significant components of this message are now held in minority in Western Christianity. Anyway, lots more to think about. I know for some of you this is a difficult thing to wrestle with. It calls into a question a lot of your life and assumptions. My heart goes out to those of you who have served or are currently serving in the military. My goal is not to make you feel less “Christian”. You are loved by God and by me regardless of where you come out on this issue. However, the church must always be thinking and examining our message. Where there have been compromises to our culture, we must return to THE SOURCE and reform. Taking another quick break from our discussion of non-violence, I thought I would throw in a recent survey done by the research of the PEW FORUM. It is a survey that has been passed around a lot for the last two weeks, but is worth mentioning here in the context of our discussion. If you haven’t seen it, then let me warn you… it isn’t pretty. I mean, torture of course isn’t pretty (though I wonder if most people in this study have thoroughly thought about its appalling reality), but uglier still is the statistics on its acceptance among regular church-goers. The survey shows that 62 percent of white evangelicals believe torture of suspected terrorists is “often” or “sometimes” justified. A total of 79 percent of the same group were “okay” with torture if pushed far enough. And, maybe most disturbing, those who attend church regularly were more likely to rationalize and justify torture than those who do not go to church. SERIOUSLY? Something is definitely perplexing when the “body of Christ” is the expert at the rationalization of torture, for any reason. What’s next? Waterboarding for Jesus? An argument for a “just war” theology is one thing, but the use of torture (even on those who are guilty of atrocities) would surely seem to go far beyond even those guidelines. I’d be interested to hear how other Christians in favor of these methods justify this “utilitarian ethic” in light of Jesus. I would hope that the response would be something more Christ-like than a simple, “the ends justify the means.” I welcome your comments with any rationalization that makes an attempt to address Scripture on this topic. We’ll continue on with our discussion next post (though this topic is clearly related) but take a look at these statistics and see if they look anything like what the followers of the Christ, who was Himself tortured and killed, should endorse. It appears to be a very sad commentary, I’m afraid, of American Christianity’s syncretism with national idolatry and military power. For another good article on this study click on this short Christianity Today blog by Skye Jethani. For another good article on this study click on this Christianity Today blog by Skye Jethani. I’ll keep blogging away here, but go there to check out pictures and videos of the new baby! Well, here I am at 2:00am writing my first blog. People keep saying that real grown ups are doing this and as much as i hate to admit it, i am getting older. So, if this is what grown ups do, then i better give it shot. Besides, if it doesn’t work out, i guess i can just go on being a really old, slightly fatter kid.